The deep freeze that has descended on the Midwest is putting the lives of millions of people at risk. It's also bad news for an invasive species that's been wiping out ash trees across the upper Midwest: the emerald ash borer. 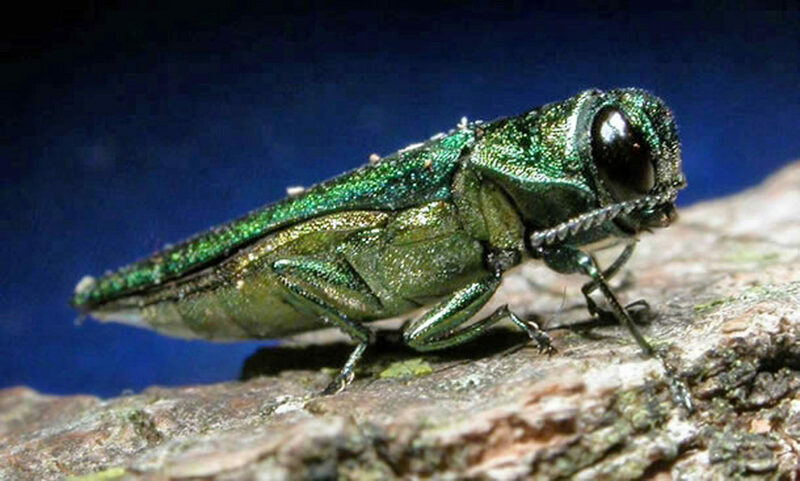 Since the discovery of emerald ash borers in the U.S. in 2002, its larvae has destroyed tens of millions of ash trees. The exotic beetle, whose larvae nibble on the inside of ash trees' bark, can cause extensive damage to the way ash trees transport water and nutrients. 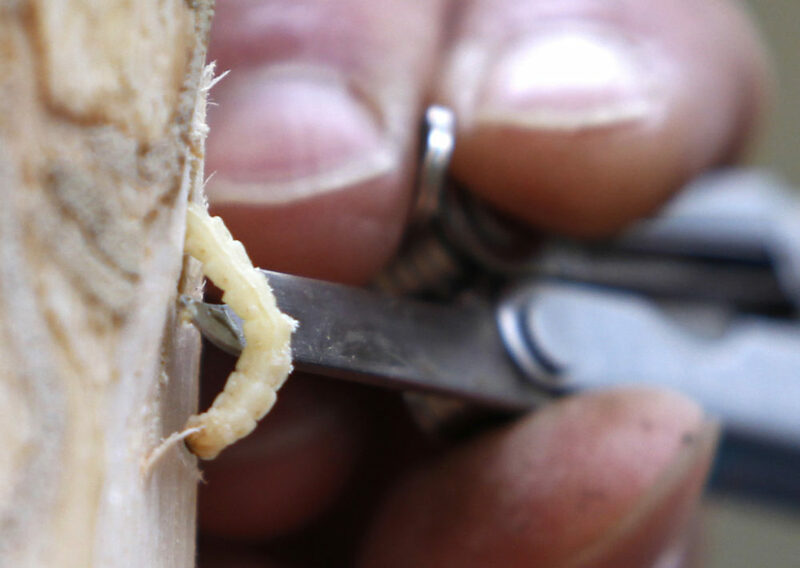 The emerald ash borer has been thriving in the upper Midwest thanks to warm temperatures. But the subzero temperatures currently hitting the region could kill a swath of the beetles' larvae. Lee Frelich, director of the University of Minnesota's Center for Forest Ecology, expects the polar vortex to put a dent in the insects' population. 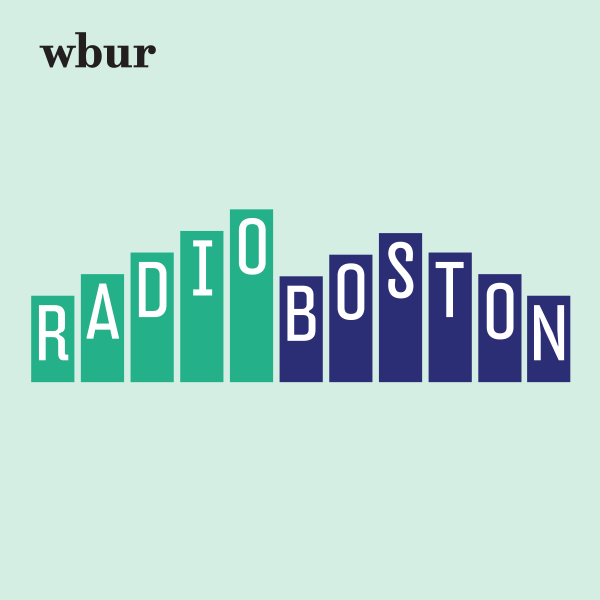 "It'll slow the spread of the insect," Frelich tells Here & Now's Jeremy Hobson. But the cold has to infiltrate underneath the ash trees’ bark in order to effectively get at the larvae. "You have to remember the bark of trees is a really good insulator — it has to actually get colder than the air temperature in order to make it cold enough to kill through the bugs under the bark," Frelich says. Frelich is still worried about the larvae destroying ash trees, especially in northern Minnesota, once the cold spell passes. "The question is, when will the warming climate get warm enough that it no longer gets down to 30 below zero there?" he says. "The emerald ash borer is an insect from Asia that infects and kills ash trees. White ash, black ash and green ash are pretty abundant across the northeastern United States, from Maine all the way to Minnesota. And [the emerald ash borer] was introduced into Michigan first, quite a while ago. ... It's been spreading in all directions from there." "We have vast black ash swamps, which are actually really beautiful. They have a huge diversity of plants and great wildlife habitat. Almost a billion ash trees live in those swamps. So they're safe right now, but in the future that might not happen." "Very cold winter temperatures have actually quite a few positive effects in terms of killing off insect pests in particular. The mountain pine beetle has a winter minimum lethal threshold around minus 40. Currently, it's in Canada. ... There's contiguous forests in the North all the way out to Maine, so it would be able to infest our jack pine, white pine and red pine, which are three species of pine in the northern United States." Peter O'Dowd produced this interview and edited it for broadcast with Kathleen McKenna. Serena McMahon adapted it for the web.